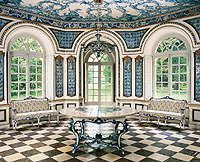 The Amalienburg, designed by François Cuvilliés, was built from 1734 to 1739 in the Nymphenburg Park. 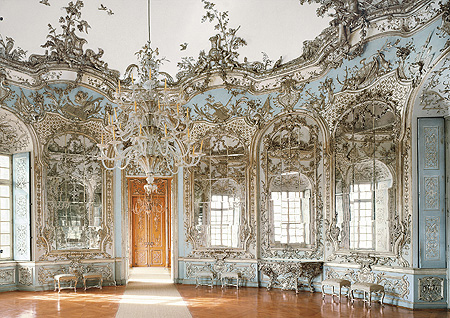 The little hunting lodge created for Electress Amalia with its unique Hall of Mirrors is a masterpiece of european Rococo architecture. 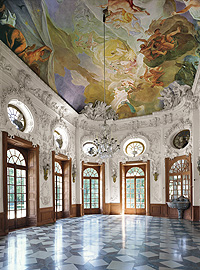 The other three park buildings were built in the beginning of the 18th century by Joseph Effner for Elector Max Emanuel. 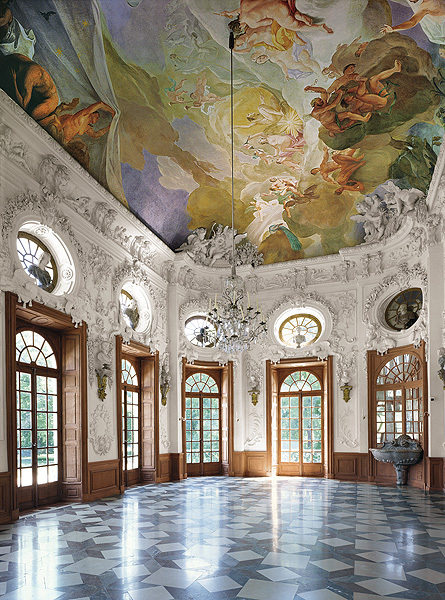 The Badenburg features a banqueting hall that boasts some magnificent stucco work and ceiling frescoes (Jacopo Amigoni, destroyed in 1944, subsequently restored), a two-storey Bathing Hall and and the so-called "Monkey Cabinet". Four of its rooms are decorated with Chinese wallpaper. 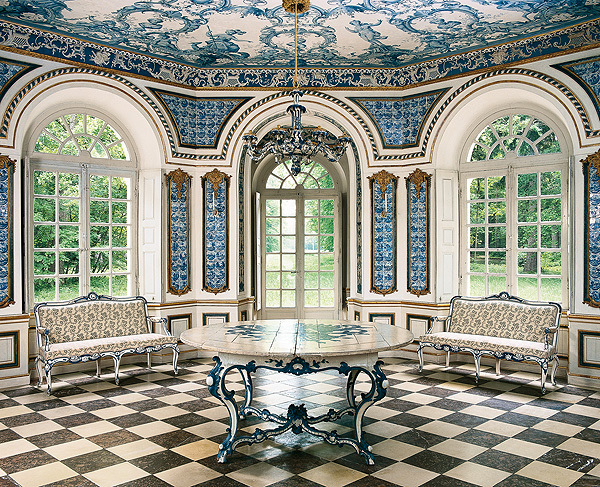 In the octagonal Pagodenburg, European and Oriental decorative elements combine to create an exotic atmosphere. The small palace is a prime example of eighteenth-century chinoiserie which was very much in vogue at the time. The Magdalenenklause is the court equivalent of a hermitage: built as an artificial ruin, it has a chapel designed as a grotto and living rooms of monastic simplicity.